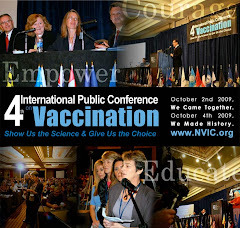 Vaccine Awakening: HPV Vaccine: Necessary or Safe? HPV Vaccine: Necessary or Safe? Steep Learning Curve for HPV Vaccine? HPV infection is asymptomatic and is cleared naturally by the majority of men and women who experience it. Rarely, HPV infection becomes persistent and, after many years, can cause cervical cancer in women. Most cervical cancers are prevented in the U.S. with routine pap smears. Merck's pre-licensure clinical trials for their HPV vaccine, Gardasil, were methodologically flawed. Merck used a potentially reactive aluminum containing placebo to mask the magnitude of the Gardasil's reactivity. It appears that only about 900 pre-adolescent girls participated in the clinical trials. Merck and the FDA know nothing about the ability of Gardasil to cause long term health problems, particularly autoimmune disorders such as rheumatoid arthritis, in young girls (see an analysis of pre-licensure clinical trials with citations on the NVIC Website. The CDC's recommendation for universal use of HPV vaccine by all pre-adolescent girls is a profit-making enterprise for Merck and it is a potential health risk for little girls, who may or may not ever become HPV infected. And, if a girl does become HPV infected after becoming sexually active when she gets older, she will have a very low risk of becoming chronically HPV infected. And if she becomes chronically HPV infected, she will have an even lower risk of developing cervical cancer unless she fails to get regular pap smears. Because of routine pap screening in America, there has been a 75 percent decline in cervical cancer since the 1950's. Cervical cancer now accounts for only one percent of all cancers in American women. 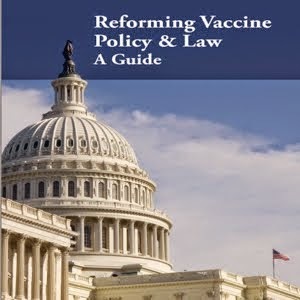 Spending billions of dollars to vaccinate every 9 year old girl in America with an HPV vaccine which has not been proven to be safe or necessary is ridiculous. Thank you for this information - I feel that the pressure is everywhere to have my 13 year old daughter vaccinated - even my doctor is strongly advising that we do so. They are offering free vaccinations in my daughter's school but I am so reluctant to do this. What if the long-term effects of the vaccine prove to be more dangerous and real than the possible effects of HPV infection? I am so confused and my every instinct tells me not to do this, not to have her vaccinated but I'm just afraid i'm not protecting my little girl.